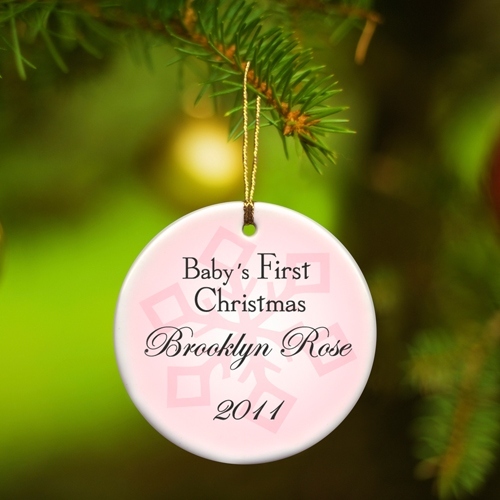 * Celebrate the first Christmas of that precious bundle of joy with our pretty personalized holiday ornaments. 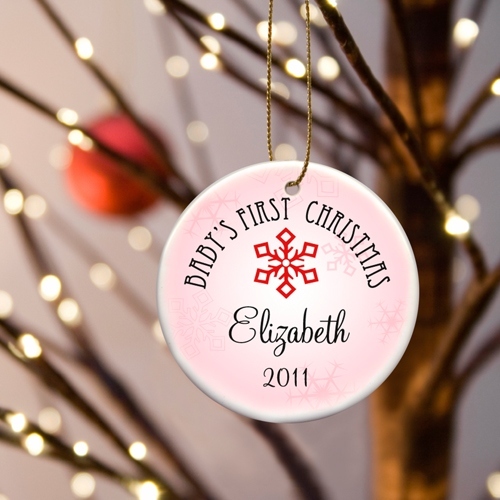 * A delicate addition to any tree, our ceramic Baby Girl's First Christmas snowflake-adorned ornaments feature a pink background with two different designs. * Start a tradition and hang this unique personalized First Christmas ornament on the tree every year!